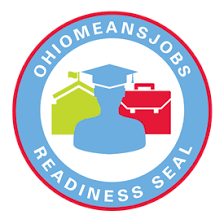 Huron Chamber of Commerce and the Huron High School have partnered to provide the Ohio Means Jobs – Readiness Seal. The program provides high school students with the opportunity the opportunity for real life experiences with the support of local businesses through mentorship, job shadowing, student interviews, community service and leadership opportunities. Join us for an informational continental breakfast on December 5 from 8:30 – 9:30am to see how you can get involved.